The Iowa Hawkeyes (10-7) will host the No. 19 Purdue Boilermakers (14-3) in Big Ten action Thursday night. The contest has a 9:00 PM EST start and broadcast on Big Ten Network. Purdue opened as a 6-point favorite but the line has moved to Boilermakers -5.5 despite 95 percent of the early tickets backing Purdue, indicating that the sharp money is backing Iowa. 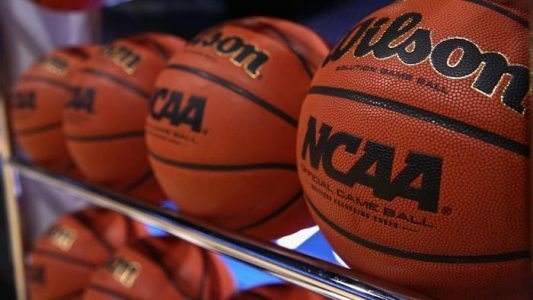 You can follow the spread and wager percentages at our College Basketball Live Odds page. There is no total listed yet for the game as of the publication of this Purdue vs. Iowa Free Pick. The teams have split the last 10 meetings with the Boilermakers defeating the Hawkeyes 89-67 in the first meeting this season on Dec. 28. Purdue, which ranks second in the nation in assists per game at 19.5 per game, had 27 assists on 34 field goals in the first meeting. The home team is 12-3 ATS in the last 15 meetings and the under is 9-4-1 in the last 14. The Boilermakers opened the new year with a 91-82 overtime loss to Minnesota, but they’ve bounced back with a win over Ohio State and most recently a 66-55 victory against the No. 17 Wisconsin. Sophomore forward Caleb Swanigan led the team with 18 points on 7-of-10 shooting against the Badgers, and the team knocked down 52.2 percent from the field while hitting 7-of-15 three point attempts. Purdue impressed on the defensive end as well holding Wisconsin to 39.0 percent shooting, and the Boilermakers have held opponents to 65.4 points per game throughout the season while scoring 82.9 points per game themselves. The Boilermakers are 5-1-1 ATS in their last seven games as a favorite of 0.5-6.5 points and 8-2-1 ATS in their last 11 matchups with Big Ten teams. Over is 5-0 in the Boilermakers last five games as a road favorite. The Hawkeyes have split their last four games with two of the last three going to overtime. They’re coming off a 68-62 win against Rutgers as they managed to pull away in the second half outscoring Rutgers 36-30 to pick up the win. Peter Jok led the team wtih 18 points and 11 rebounds, and he has now scored 25 points or more in a game seven times this season. The Hawkeyes held the Scarlet Knights to 38.4 percent shooting from the floor, but Iowa has allowed opponents to shoot 42.2 percent against them over the season while allowing 77.4 points per game. Iowa has averaged 83.0 points per game on the offensive end. The Hawkeyes are 4-1-1 ATS in their last six home games and 9-4 ATS in their last 13 games as a home underdog of 0.5-6.5 points. Under is 5-1 in Hawkeyes last six home games. Revenge is a powerful angle, and we believe the Hawkeyes will step up their game here and revenge the 89-67 setback from earlier in the season.